Andrew Cashner threw two scoreless innings and the San Diego Padres had 13 hits and beat the Milwaukee Brewers 8-2 on Monday. 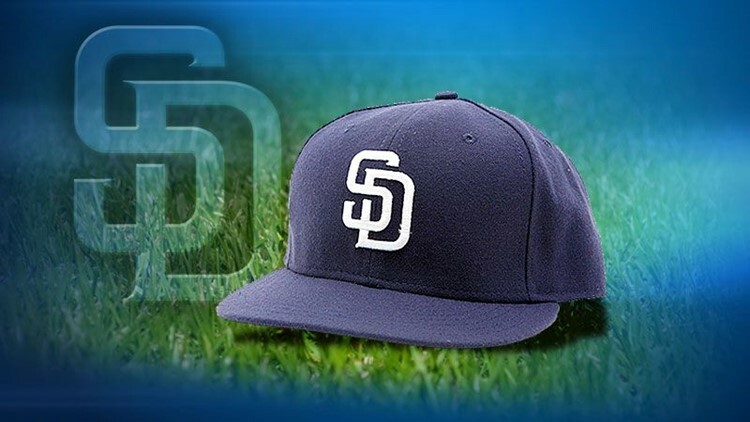 PHOENIX (AP) — Andrew Cashner threw two scoreless innings and the San Diego Padres had 13 hits and beat the Milwaukee Brewers 8-2 on Monday. Jabari Blash hit his first home run of the spring, an opposite-field shot in the second off Milwaukee starter Taylor Jungmann. "That was awesome," Cashner said of Blash's blast. "I don't think there's a whole lot of guys who can go to the opposite field with that kind of power." Catcher Derek Norris had two hits and two RBIs and Jemile Weeks had two hits including a triple and an RBI for the Padres, who handed the Brewers their first Cactus League loss. The 6-foot-6 Cashner, who was 6-16 last season and is expected to be the Padres No. 3 starter, allowed three hits but received help from his defense. Norris threw out two runners stealing second and center fielder Travis Jankowski threw out a runner at the plate. "I hung a changeup or two but my breaking ball was really, really good today." Cashner said. "That's one of the better breaking balls I've featured in a few years." Ramon Flores had two of the Brewers' six hits, but was thrown out twice on the bases. Milwaukee remains without outfielder Ryan Braun (rehab from back surgery) and second baseman Scooter Gennett (shoulder), both of whom have yet to play this spring and had their timetables pushed back on Monday. Braun is expected to play in the third week of spring, while Gennett's return is undetermined. "(Braun) isn't holding back at all. He's feeling good and it's been all positive for sure," manager Craig Counsell said. "The third week is kind of what I was shooting for. That's perfect." Padres: Cashner is going back to throwing the curve ball he used to throw, the spike curve that is harder with a bigger break, and is pleased with the early results. "It's a comfort thing and I'm happy with what I'm seeing," he said. Brewers: Jungmann was a two-pitch pitcher last year, but is working to add a changeup to the mix, something he showed off several times against the Padres. "I got quite a few changeups in and I threw some good ones, so it's progress," Jungmann said. "It hasn't been a focus of mine, but I feel like now it needs to be for me to take that next step." The Brewers had four hits in the first three innings, but all four players were thrown out on the bases. Flores singled and was caught stealing second in the first and Rymer Liriano was thrown out in the same way in the second. Kirk Nieuwenhuis doubled in the second, but was thrown out at the plate and Flores was thrown out trying to stretch a double into a triple in the third. "Four outs on the bases is a lot," Counsell said. "But one of things with new players is we have to test these guys on the bases a little and get information on them that we can use during the season. We found out some stuff about some guys for sure." Padres infielder Carlos Asuaje and right-handed pitcher Martires Arias were sent to minor league camp on Monday. San Diego has 60 players in major league camp. Gennett hasn't seen much improvement in his sore throwing shoulder and further testing is ahead. "He hasn't responded great," said Counsell, who added Gennett is nowhere close to putting regular season games in jeopardy. "There are a lot of at-bats in 10 spring training games." Catcher Jonathan Lucroy is out with the flu. ... Outfielder Brett Phillips remains out with a mild oblique strain. ... Pitcher Jeremy Jeffress tested his strained hamstring in a bullpen session Monday and has at least one more before being cleared for games. . Reliever Yhonathan Barrios (shoulder stiffness) has been shut down for 3 to 4 days. Indians: Right-hander Brandon Mauer will start against the Arizona Diamondbacks. Brewers: Right-hander Chase Anderson will start against the Chicago White Sox.